Multiple blasts reportedly killed at least 20 and wounded 106 people (17 of them severely) in attacks in Brussels on early Tuesday morning, reported BBC News. And as a result, "Pray For Peace" is trending on social media as the world pours out its thoughts and prayers. According to BBC News, two blasts took place at the airport in Zaventem, one of which is thought to be caused by a suicide bomber. 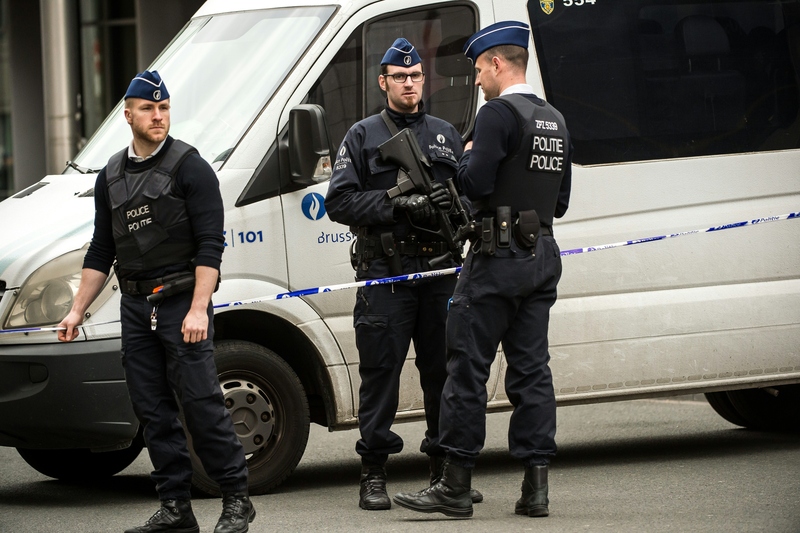 The blasts have left Brussels under a complete lockdown; all metro stations, city transit (including buses and trams), and Eurostar train journeys have been shut down. Additionally, all flights out of Brussels Airport on Tuesday were cancelled, with planes being diverted from the area in the time being. In response to the attacks, Belgium has raised its terrorism threat to its highest level (level 4). With this many people injured, and the threat of terrorism again brought to the forefront of everyone's minds, it can be quite normal to feel powerless, alone, and angry. This is why Twitter, and other social media platforms, are lighting up with #prayforpeace as more information is being released. With such news, Twitter users have turned from expressing confusion and shock, to anger and disgust. Other trending hashtags include #Brussels and #PrayForTheWorld, which show the varied reactions to this morning's bombings. Instagram has followed suit with over 200,000 #prayforpeace posts since the attacks.